بسیاری از رنگ‌ها به‌علت ترکیب پیچیده آروماتیک و انحلال زیاد در آب، سمّی، سرطان‌زا و زیست تخریب ناپذیرند، بنابراین حذف آنها از پساب‌ حائز اهمیت است. در این پژوهش، سیلیکات میان حفره با ساختار شش وجهی منظم به‌روش سل-ژل سنتز شد و پس از اصلاح سطح آن با کیتوزان (Ch-HMS)، به‌عنوان جاذب برای حذف رنگ زرد مستقیم 86 استفاده شد. برای بررسی جاذب سنتزشده، از روش‌های SEM،FTIR ، XRD و BET استفاده شد. تأثیر پارامترهایی مانند pH، مقدار جاذب و زمان تماس بر راندمان حذف رنگ بررسی شد. نتایج نشان داد که حدود 92 درصد رنگ با استفاده از 075/0 گرم کامپوزیت در pH برابر 2 و در زمان تماس 60 دقیقه حذف شد. داده‌های تعادلی جذب با استفاده از هم‌دماهای لانگمیر، فروندلیچ، تمکین و الوویچ با کمک رگرسیون خطی مدل‌سازی شدند. هم‌دمای لانگمیر بهترین تطابق را با داده‌های آزمایشگاهی با ظرفیت 71/43 میلی‌گرم بر گرم داشت. در این پژوهش مشخص شد که اصلاح سطح HMS با کیتوزان و سنتز نانوکامپوزیت، موجب افزایش ظرفیت جذب رنگ بر روی آن می‌شود و این جاذب می‌تواند به‌عنوان یک جاذب کارآمد و قوی برای حذف آلاینده‌ها از محیط‌های آبی استفاده شود. Many types of dyes are toxic, carcinogenic, non-biodegradable due to their complex aromatic structures and their water solubility and accordingly, they should be removed from wastewaters. In the present research, hexagonal mesoporous silicate HMS was synthesized by sol-gel method and after modification by natural polymer chitosan (Ch-HMS), it was applied for the removal of direct yellow 86 from aqueous media. The characterization of synthesized HMS and chitosan modified HMS were analyzed by some basic analyses such as SEM, FTIR, XRD and BET. The effects of pH, adsorbent dosage and contact time on the removal of direct yellow 86 were investigated. The results revealed that the maximum adsorption of dye was about 92% which was obtained by 0.075 g of Ch-HMS composite at the pH of 2 and for 60 min contact time. The equilibrium data of experiments were studied by Langmuir, Freundlich, Elovich and Temkin isotherm models using linear regression. The Langmuir model with the maximum adsorption capacity of 71.43 mg/g was the predominant model. Kinetic study was also performed using pseudo first and pseudo second order kinetic models where the second order model had the best agreement with the experimental data. The experimental data showed that surface modification of HMS by chitosan and formation of Ch-HMS nanocomposite enhanced the adsorption capacity of HMS and changed it into a useful and powerful adsorbent for the removal of pollutants from aqueous solutions. Aksu, Z. & Alper Isoglu, I. 2006. Use of agricultural waste sugar beet pulp for the removal of Gemazol turquoise blue-G reactive dye from aqueous solution. Journal of Hazardous Materials B, 137, 418-430. Asouhidou, D.D., Triantafyllidis, K.S., Lazaridis, N.K. & Matis, K. A. 2009. Adsorption of Remazol Red 3BS from aqueous solutions using APTES- and cyclodextrin-modified HMS-type mesoporous silicas. Colloids and Surfaces A: Physicochem. Eng. Aspects, 346, 83-90. Avramescu, S.M., Bradu, C., Franza, L., Mihalche , N., Neata, M. & Udrea, I. 2010. Removal of reactive black 5 azo dye from aqueous solutions by catalytic oxidation using CuO/ Al2O3 and NiO/ Al2O3. Applied Catalysis: Environmental Journal, 96, 548-556. Baek, M.H., Olakitan Ijagbemi, Se-Jin O. & Kim, D.S. 2010. Removal of malachite green from aqueous solution using degreased coffee bean. Journal of Hazardous Materials, 176, 820-828. Banerjee, S., Dubey, S., Gautam, R.K., Chattopadhyaya, M.C. & Sharma, Y.C. 2016. Adsorption characteristics of alumina nanoparticles for the removal of hazardous dye, Orange G from aqueous solutions. Arabian Journal of Chemistry, doi: 101016/j.arabjc.2016.12.016. Chae, K. S., Selvam , K. & Swaminathan, K. 2003. Decolourization of azo dyes and adye industry effluent by a white rot fungus thelephorasp. Journal of Bioresource Technology, 88, 115-119. Chawla, S., Uppal, H., Yadav, M., Bahadur, N. & Singh, N. 2017. Zinc peroxide nanomaterial as an adsorbent for removal of Congo red dye from wastewater. Ecotoxicology and Environmental Safety, 135, 68-74. Cho, D.W., Jeon, B.H., Chon, C.M., Schwartz, F.W., Jeong, Y. & Song, H. 2015. Magnetic chitosan composite for adsorption of cationic and anionic dyes in aqueous solution. Journal of Industrial and Engineering Chemistry, 28, 60-66. Copello, G.J. Mebert, A.M., Raineri, M., Pesenti, M.P. & Diaz, L.E. 2011. Removal of dyes from water using chitosan hydrogel/SiO2 and chitin hydrogel/SiO2 hybrid materials obtained by the sol–gel method. Journal of Hazardous Materials, 186, 932-939. Crini, G. 2006. Non-conventional low-cost adsorbents for dye removal: A review. Bioresource Technology, 97, 1061-1085. Darvishi Cheshmeh Soltani, R., Khataee, A.R., Safari, M. & Joo, S.W. 2013. Preparation of bio-silica/chitosan nanocomposite for adsorption of a textile dye in aqueous solutions. International Biodeterioration and Biodegradation, 85, 383-391. Ghaedi, M., Sadeghian, B., Kokhdan, S.N., Pebdani, A.A., Sahraei, R., Daneshfar, A. & Mihandoost, A. 2013. Study of removal of Direct Yellow 12 by cadmium oxide nanowires loaded on activated carbon. Materials Science and Engineering, 33, 2258-2265. Ghaedi, M., Sadeghian, B., Pebdani, A., Sahraei, R., Daneshfar, A. & Duran, C. 2012. Kinetics, thermodynamics and equilibrium evaluation of Direct Yellow 12 removal by adsorption onto silver nanoparticles loaded activated carbon. Chemical Engineering Journal, 187, 133-141. Gao, Q., Zhu, H., Luo, W.J., Wang, S. & Zhou, C.G. 2014. Preparation, characterization, and adsorption evaluation of chitosan-functionalized mesoporous composites. Microporous and Mesoporous Materials, 193, 15-26. Hameed, B.H. & Ahmad, A. A. 2009. Batch adsorption of methylene blue from aqueous solution by garlic peel an agricultural waste biomass. Journal of Hazardous Materials, 164, 870-875. Hanafiah, M.A.K.M., Ngah, W.S. & Teong, L.C. 2011. Adsorption of dyes and neary metal ions by chitosan composite: A review. Journal of Carbohydrate Polymers, 83, 1446-56. Hii, S.L., Wong, C.L. & Yong, S.Y. 2009. Removal of rhodamine B from aqueous solution by sorption on Turbinavia conoides. Journal of Applied phycology, 21, 625-631. Ho, Y.S. & Mckay, G. 2003. Sorption of dyes and copper ions onto biosorbents. Journal of Process Biochemistry, 28, 1047-1061. Humelnicu, I., Baiceanu, A., Ignat, M.E. & Dulman, V. 2017. The Removal of Basic Blue 41 textile dye from aqueous solution by adsorption onto natural zeolitic tuff: Kinetics and thermodynamics. Process Safety and Environmental Protection, 105, 274-287. 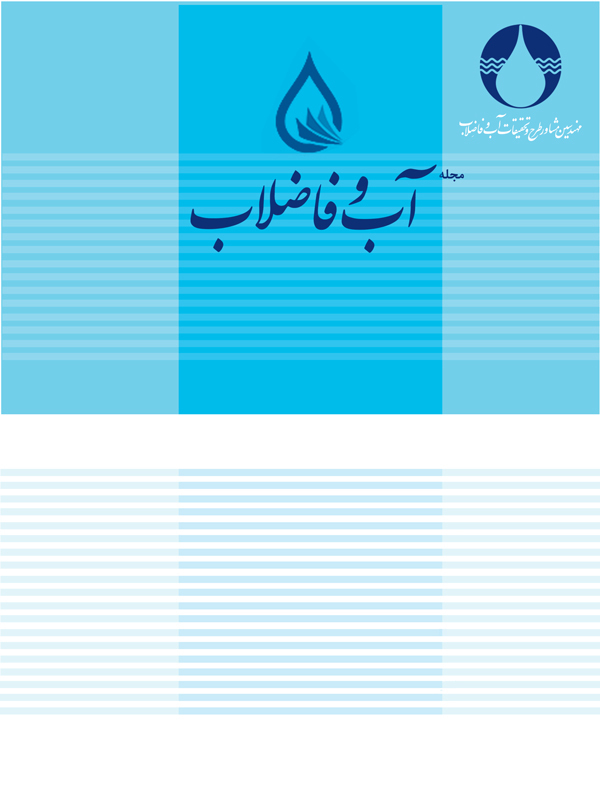 Javadian, H., Babzadeh Koutenaei, B., Khatti, R. & Toosi, M. 2014. Application of functionalized nano HMS type mesoporous silica with N-(2- aminoethyl)-3-aminopropyl methyldimethoxysilane as a suitable adsorbent for removal of Pb (II) from aqueous media and industrial wastewater. Journal of Saudi Chemical Society, 21, 219-230. Javadian, H., Vahedian, P. & Toosi, M. 2013. Adsorption characteristics of Ni(II) from aqueous solution and industrial wastewater onto Polyaniline/HMS nanocomposite powder. Applied Surface Science, 284, 13-22. Jayasantha Kumari, H., Krishnamoorthy, P., Arumugam, T.K., Radhakrishnan, S. & Vasudevan D. 2017. An efficient removal of crystal violet dye from waste water by adsorption onto TLAC/Chitosan composite: A novel low cost adsorbent. International Journal of Biological Macromolecules, 96, 324-333. Kang, J.K., Park, J.A., Kim, J.H., Lee, C.G. & Kima, S.B. 2016. Surface functionalization of mesoporous silica MCM-41 with 3-aminopropyltrimethoxysilane for dye removal: Kinetic, equilibrium, and thermodynamic studies. Desalination and Water Treatment, 57, 7066-7078. Khaled, A., El Nemr, A., El-Sikaily, A. & Abdelwahab, O. 2009. Removal of direct N Blue-106 from artificial textile dye effluent using activated carbon from orange peel: Adsorption isotherm and kinetic studies. Journal of Hazardous Materials, 165, 100-110. Kumar, P.S., Ramalingam, S., Senthamarai, C., Niranjanaa, M., Vijayalakshmi, P. & Sivanesan, S. 2010. Adsorption of dye from aqueous solution by cashew nut shell: Studies on equilibrium isotherm, kinetics and thermodynamics of interactions. Desalination, 261, 52-60. Kuo, C.Y., Wu, C.H. & Wu, J.Y., 2008. Adsorption of direct dyes from aqueous solutions by carbon nanotubes: Determination of equilibrium, kinetics and thermodynamics parameters. Journal of Colloid and Interface Science, 327, 308-315. Liu, J., Ma, J. & Zang, L. 2013. Preparation and characterization of ammonium-functionalized silica nanoparticle as a new adsorbent to remove methyl orange from aqueous solution. Applied Surface Science, 265, 393-398. Marrakchi, F., Khanday W.A., Asif, M. & Hameed B.H. 2016. Cross-linked chitosan/sepiolite composite for the adsorption of methylene blue and reactive orange 16. International Journal of Biological Macromolecules, http://dx.doi.org/10.1016/j.ijbiomac.(2016. 9. 6). Nitayaphat, W. 2017. Chitosan/coffee residue composite beads for removal of reactive dye. Materials Today: Proceedings, 4, 6274-6283. Pauly, T.P. & Pinnavaia, J. 2001. Pore size modification of mesoporous HMS molecular sieve silicas with wormhole framework structures. Chemistry of Materials, 13, 987-993. Qin, Q., Ma, J. & Liu, L. 2009. Adsorption of anionic dyes on ammonium-functionalized MCM-41. Journal of Hazardous Materials, 162, 133-139. Sanchez-Martin, J., Beltran-Heredia, J. & Gragera-Carvajal, J. 2011. Caesalpinia spinosa and Castanea sativa tannins: A new source of biopolymers with adsorbent capacity. Preliminary assessment on cationic dye removal. Industrial Crops and Products, 34, 1238-1240. Singh, H., Chauhan, G., Jain, A.K. & Sharma, S.K. 2017. Adsorptive potential of agricultural wastes for removal of dyes from aqueous solutions. Journal of Environmental Chemical Engineering, 5, 122-135. Tunc, O., Tanac, H. & Aksu, Z. 2009. Potential use of cotton plant wastes for the removal of Remazol Black B reactive dye. Journal of Hazardous Materials, 163, 187-198. Zhong, Q.Q., Yue, Q.Y., Li, Q., Xu, X. & Gao, B.Y. 2011. Preparation, characterization of modified wheat residue and its utilization for the anionic dye removal. Desalination, 267 (2-3), 193-200.